For more than a century, Washington’s Jewish community thrived in the heart of the city. Since 1995, however, there has not been a Jewish synagogue in Southwest. 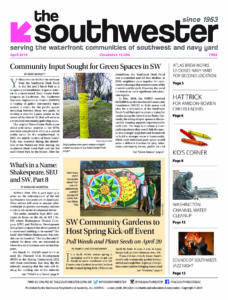 For Southwest’s Jewish community, this meant traveling to other areas of the District to participate in Jewish life. That’s about to change. 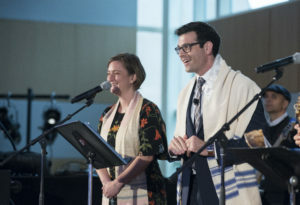 On Friday, Oct. 19, Washington Hebrew Congregation (WHC) will debut District Shabbat, a soulful, joyful and musical Shabbat experience each month in the heart of DC in partnership with St. Augustine’s Episcopal Church. District Shabbat aims to build community through Friday evenings filled with drinks, food, learning and joyful, musical worship. District Shabbat is for people of all ages. Have kids? Come at 5:30 p.m. for a fun and engaging service that’s perfect for the little ones—and will get you on your feet as well. No kids in tow? Come at 6:15 p.m. for a “Shot of Torah,” where drinks and appetizers are the opening to a spirited ­­discussion with WHC’s dynamic rabbis about the week’s Torah portion. The high-energy service, led by the rabbis and internationally acclaimed folk-rock musicians Dan Nichols and Alan Goodis, begins at 7:00 p.m. and is followed by dinner catered from some of DC’s hottest restaurants. District Shabbat is the kind of Jewish experience that has been missing from the Waterfront. Founded in 1862, Washington Hebrew Congregation serves more than 2,500 families throughout the region and is one of the most vibrant Reform congregations in the nation. Led by Senior Rabbi M. Bruce Lustig; Rabbis Susan N. Shankman, Aaron Miller and Eliana Fischel; and Cantors Mikhail Manevich and Susan Bortnick, WHC has a deep commitment to social justice and provides a wide variety of opportunities for worship, community service, engagement and education for all ages. Learn more at whctemple.org/DistrictShabbat.